"Ladies and Gentlemen, Damas y Caballeros, me da mucho gusto a presentar..."
Yes, this is "El Mariachi Loco", Joe Ely Carrales, III. Introducing the Autobiography of one of South Texas most memorable people. 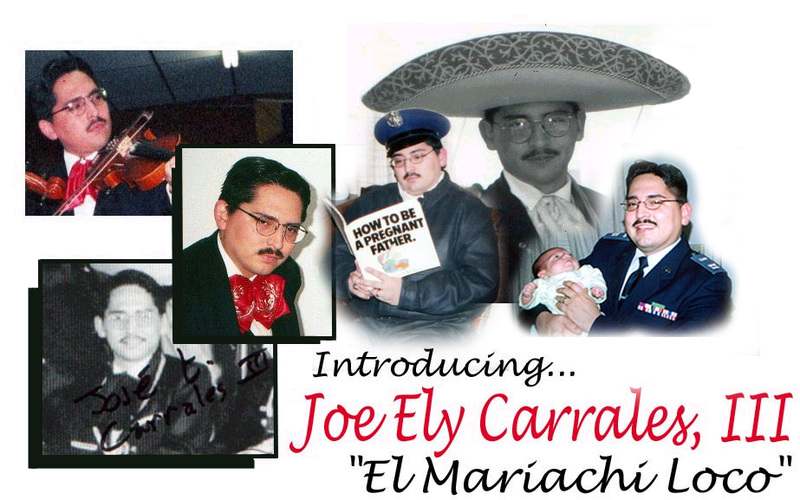 Teacher, mariachi musician and Civil Air Patrol officer; Joe Ely Carrales, III has reached out to help and entertain the people of South Texas.